McCain To Lie In State At U.S. And Arizona Capitols Congressional leaders called it a "rare honor" for the Arizona Senator, who died Saturday. Fewer than three dozen people have received this honor, reserved for the nation's "most eminent citizens." Sen. John McCain, shown here speaking to supporters at an event in 2008 at the U.S. Naval Academy, will be buried at the academy's cemetery in Annapolis, Md. "I want, when I leave, that the ceremony is at the Naval Academy, and we just have a couple of people and stand up and say 'This guy, he served his country,' " McCain said in an interview with 60 Minutes last year. "The Naval Academy is mourning the loss of one of our most distinguished graduates," the academy wrote on Twitter. "His life of service to our country is a legacy that will continue to be revered." At the bottom of a green hill speckled by hundreds of gravesites for Naval lieutenants, midshipmen, commanders and admirals — some of whose service concluded centuries ago — Sen. John McCain will have a front-row view of sailboats and ships passing on the river while a new generation of naval officers play soccer on Sherman Field at the U.S. Naval Academy. Fellow Arizona Republican Senator Jeff Flake told CNN that former presidents George W. Bush and Barack Obama have been asked to eulogize the senator. "The fact that George W. Bush will be speaking at his funeral, or that he was asked to, a person that defeated him, and also Barack Obama, that says all that we need to know about John McCain, that his opponents love, admire and respect him," said Flake. "That's something that we can all strive for." Before that ceremony, lawmakers will bestow a rare honor on the senator. On Sunday, congressional leaders announced that McCain will lie in state at the U.S. Capitol Rotunda. Senate Majority Leader Mitch McConnell made the announcement, in coordination with congressional leaders from both parties. The ceremony will take place on Friday, August 31. The first person to receive this honor was former House speaker Henry Clay in 1852, and since then fewer than three dozen people have received this honor. According to the Architect of the Capitol, the Capitol's rotunda is considered "the most suitable place for the nation to pay final tribute to its most eminent citizens." Past honorees include former presidents, including Abraham Lincoln and John F. Kennedy. Citizens who did not hold elected office, such as civil rights activist Rosa Parks and minister Billy Graham were also bestowed a similar privilege when they lay in honor in the Capitol Rotunda. "These occasions are either authorized by a congressional resolution or approved by the congressional leadership, when permission is granted by survivors," the architect says. The deceased senator "will lie in state here at the Arizona Capitol this Wednesday – his birthday," Ducey said in a tweet. "This is a rare and distinct occurrence for a truly special man. 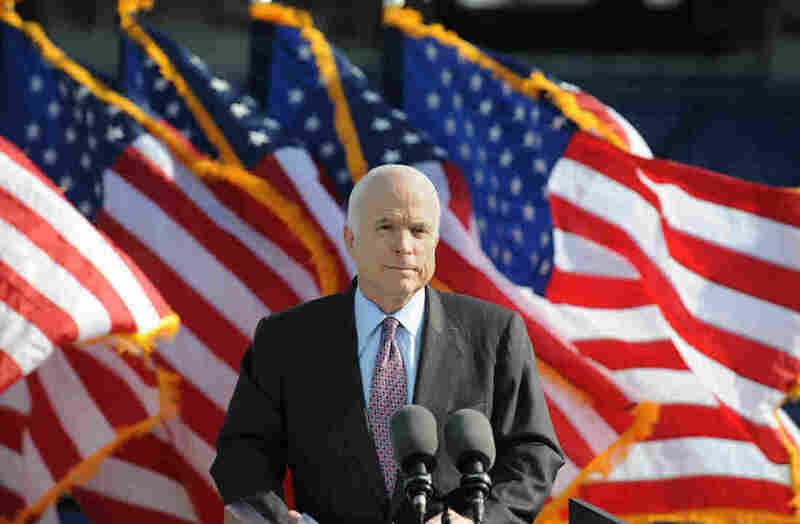 John McCain is Arizona, and we will honor his life every way we can." Memorial services will be held at North Phoenix Baptist Church on Thursday, Aug. 30, and at the Washington National Cathedral on Saturday, Sept. 1. McCain will be laid to rest at the Naval Academy the following day.